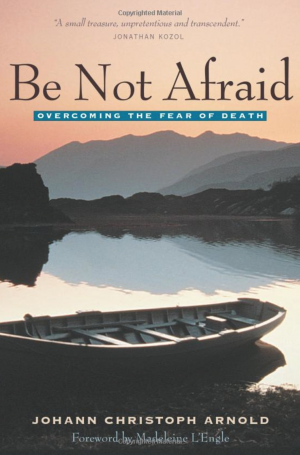 In Be Not Afraid, Arnold addresses fears that every person faces – fear of illness, aging, death, and loss, fear of vulnerability, and fear of suffering. A pastoral councelor who has worked with the dying for three decades, Arnold knows that the biggest challenges in life are the ones that won’t fit the script, and which each of us therefore has to deal with in our own unique way. All the same he is convinced that there are plenty of common truths worth holding to the light.